McLAREN CARBON FIBRE CHASSIS: ADDING LIGHTNESS! In the spirit of Colin Chapman, McLaren Composites Technology Centre (MCTC) has produced its first lightweight carbon fibre Monocell chassis. 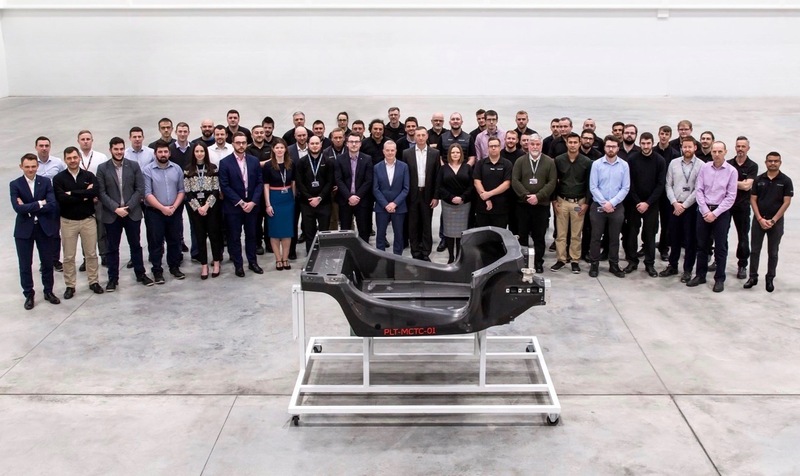 The first prototype carbon fibre Monocell, the tub that forms the main structure of McLaren cars has been shipped from the company’s new £50m innovation and production centre in Yorkshire to the McLaren Production Centre (MPC) in Woking, Surrey. 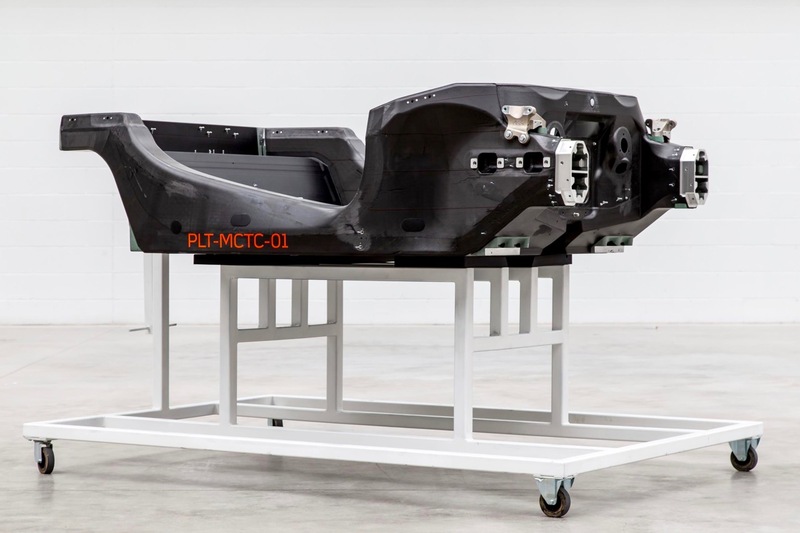 Codenamed ‘PLT-MCTC – 01’ – which stands for ‘Prototype Lightweight Tub, McLaren Composites Technology Centre – 01’ – the tub completed its 175-mile journey to the carmaker’s global headquarters. There it will undergo a stringent crash testing protocol. The Duke and Duchess of Cambridge, alongside HRH Prince Salman bin Hamad Al Khalifa, the Crown Prince of Bahrain opened the MCTC in Yorkshire last year. It is part of McLaren’s ambitious plans to increase the rate of innovation of its famous lightweight carbon fibre chassis that are at the heart of all its cars. This will help the firm’s designers and engineers to find further weight savings as the company develops its next generation of vehicles. McLaren aims to win the automotive lightening race which will become ever more important as cars move towards hybrid powertrains which are generally heavier than their traditional petrol counterparts. All McLaren’s sportscars and supercars will be hybrid by 2024. The MCTC currently employs approximately 60 people, which will rise to over 200 when full production commences in 2020. Carbon fibre has long been part of McLaren’s DNA, the company having first introduced the material into Formula 1 in the early-1980s. Given the material’s lightweight and strength characteristics, it hasn’t produced a road car without it since. Why does it not have a roll cage built into it?